For my second installment of my Grandmas’ soup recipes I wanted to share with you my FAVORITE soup Grandma Bonnie makes. This is the kind of soup that warms you up and just nourishes your body and soul. 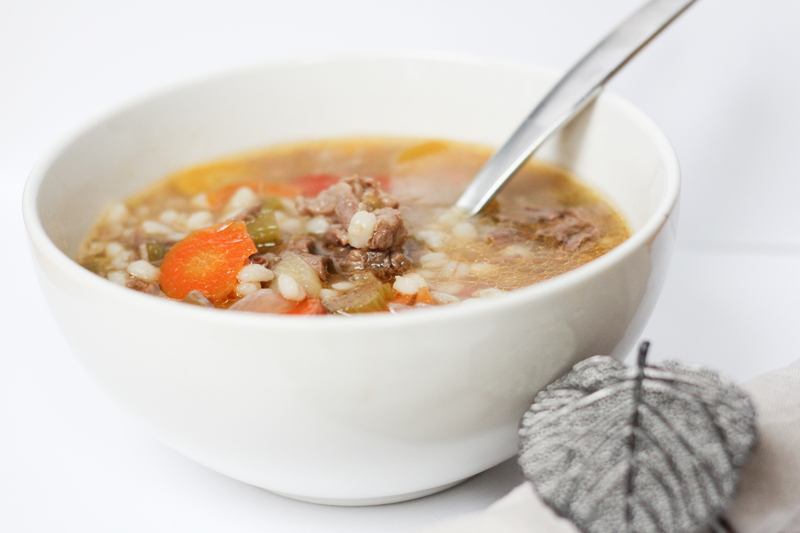 It’s a fabulous soup for the fall/winter season and it’s a nice alternative to making a roast in the oven. While it’s simple to make, it’s flavor isn’t and it’ll make you want to have second helpings. 1. Add your roast to a stock pot and fill with water until it fully covers the roast. Cook over medium high heat for 2 hours or more. When a fork can go through the roast it should be tender and cooked well enough. Option 1: Add your veggies at the same time you add the roast. Follow the rest for option 2. 2. Dice up the onion & celery. My Grandma always thinly sliced her carrots in rounds so that’s what I chose to do as well. You can also dice them if you don’t wish for bigger chunks in your soup. 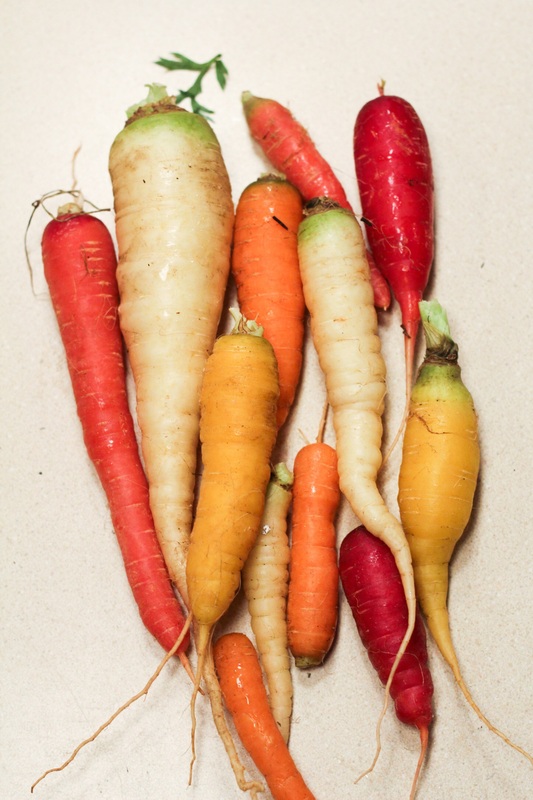 Yes those crazy awesome colors on the far right are ALL carrots. These are from our garden this year. How fun is that?! I used the equivalent to 5 or 6 large store bought carrots. Because mine were homegrown they weren’t as large as normal carrots so that’s why I used more. 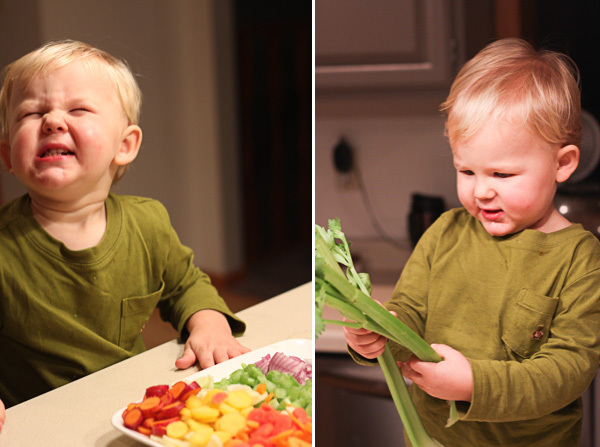 What it looks like cooking with a toddler also running around my kitchen. I asked him to smile- that’s what I got! 3. 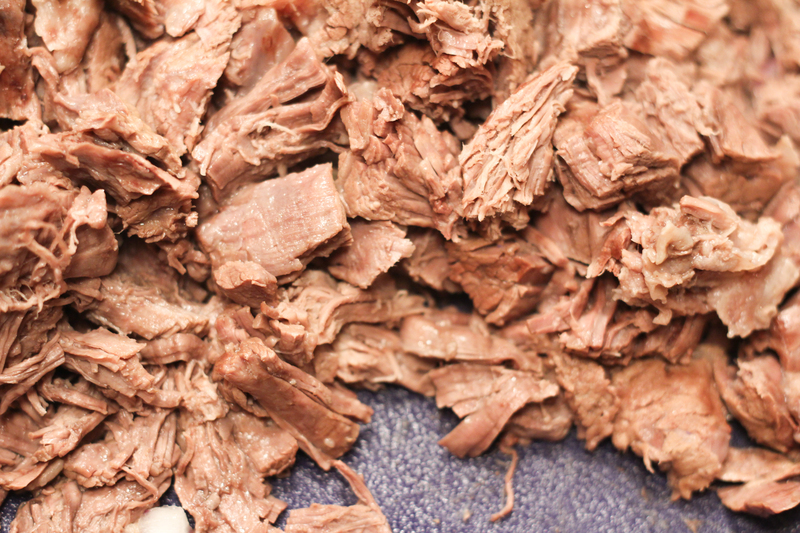 Once meat is cooked and tender, take the roast out and cut it into bite sized pieces. Mine just came apart with little effort since it was so tender. Yum! 4. 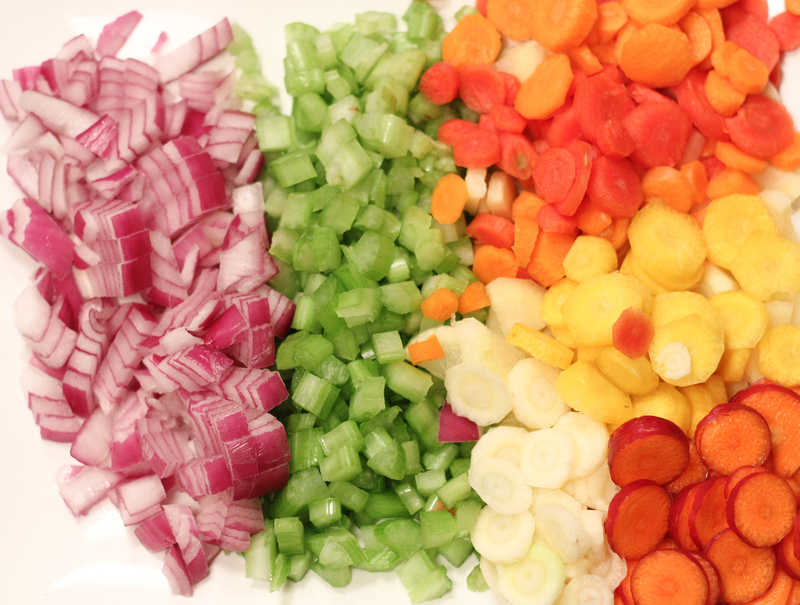 If following Option 2, this is where you add the veggies. Also add back in your cut up roast meat. You will want to add more water at this point. I refilled my stock pot until about halfway full and then added in bouillon. 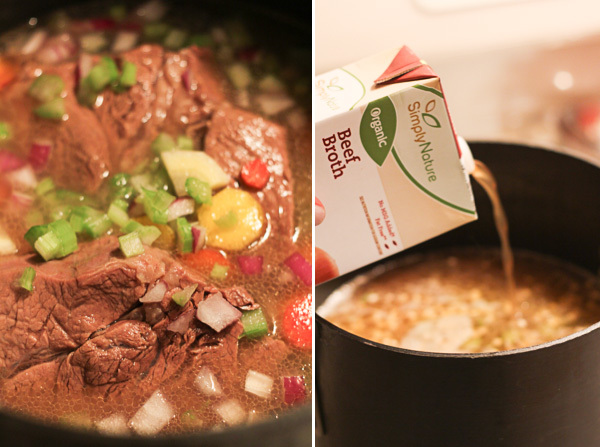 You can also use ready made beef stock if you have that too. 5. Add your worcestershire sauce, bay leaves and pepper at this point as well. 6. Next in the pot is your barley. 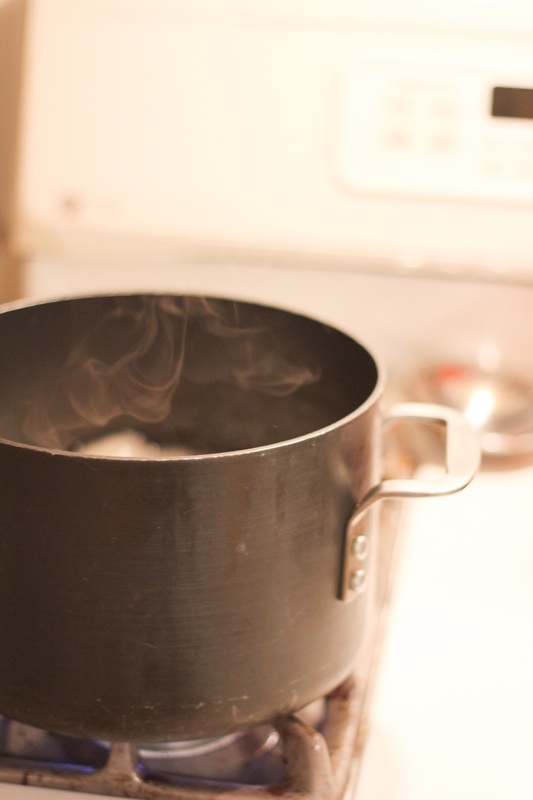 This will soak up a lot of your liquid as it cooks, so that’s why you already added more water/ bouillon/stock before. 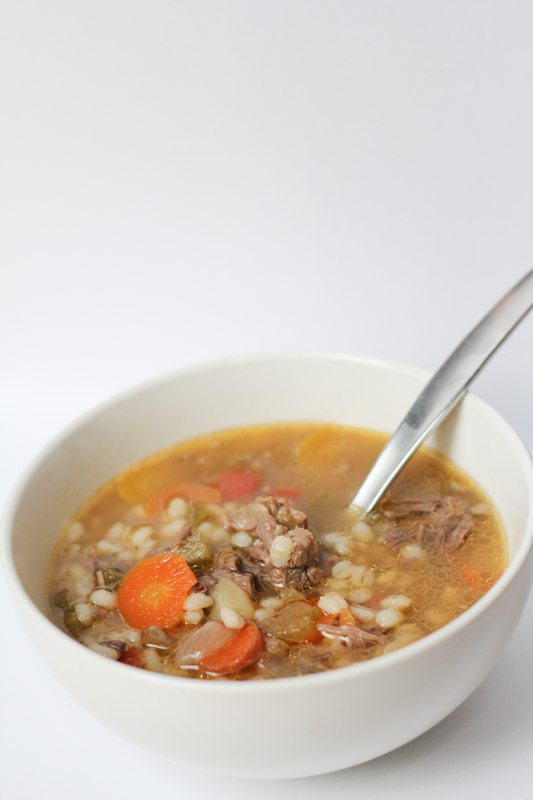 Make sure to use quick or instant barley if you wanna add directly into your soup. 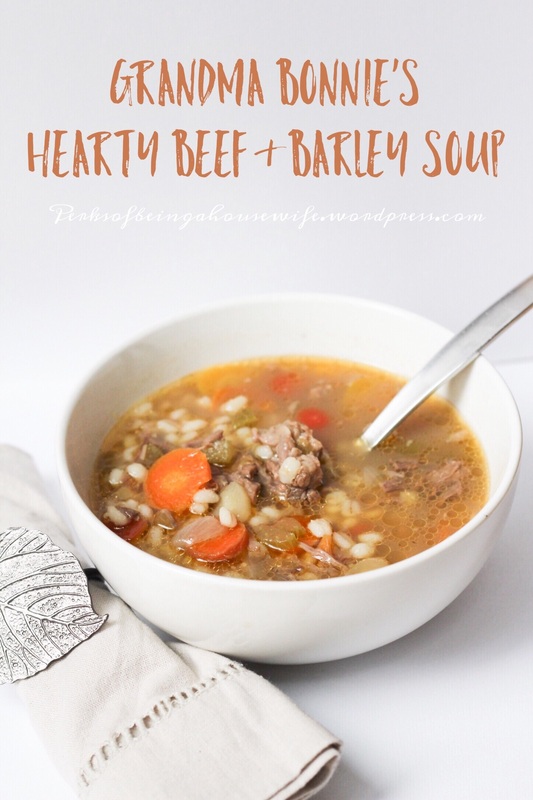 I have never made it with regular barley but I believe you need to precook that outside your soup before adding it in. 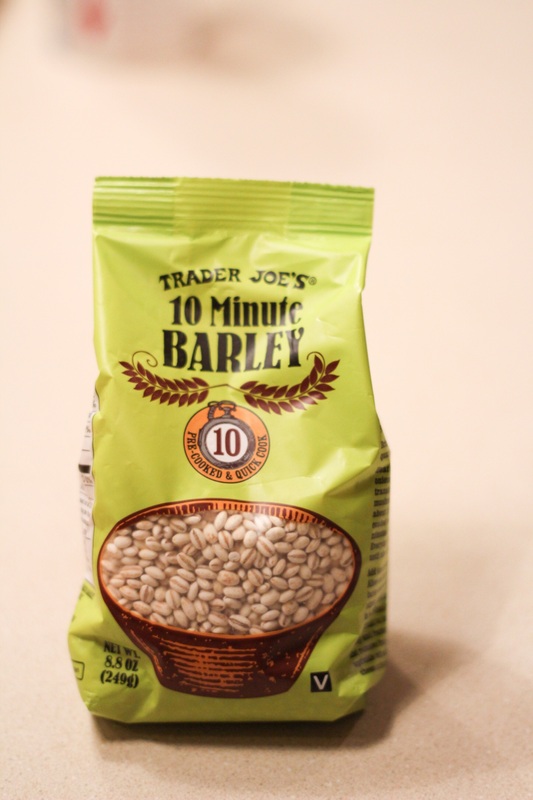 I love Trader Joe’s brand of quick barley- I always stock up when I get to make my semi-annual trips to a big city with a Trader Joe’s. For those with Trader Joe’s in your cities- I envy you! 7. All the ingredients are in so this is where you simmer your soup to allow the favors to mix and your barley to cook. Approximate time is about 20-30 minutes. Lastly, serve it up and enjoy! Oh my. My mouth waters just looking at this soup. Trust me- it tastes just as good as it looks too! If I come across more of our family’s yummy recipes I will be sure to share them. For now, enjoy this one from the Smith Kitchen. It’s sure to become a staple in yours as well! 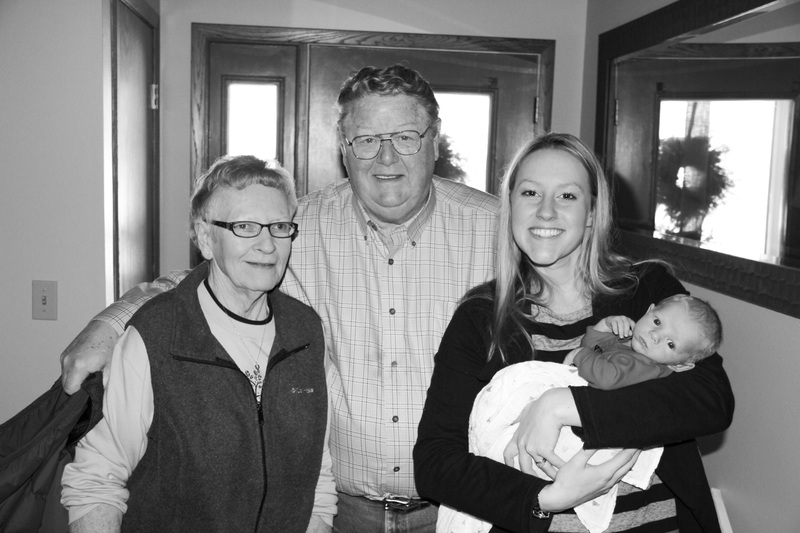 The lovely Italian chef herself alongside my dear Grandpa. This picture was from almost 2 years when they first met Myles. Thankful to have you both in our lives.